21st EU-China summit: towards more connectivity! On 9 April 2019, the 21st China-EU Summit was held in Brussels. The EU-China partnership is to make the world stronger, safer, and more prosperous. Wang Yi reaffirmed China’s commitment to the European partnership, and stressed that cooperation between the two regions is crucial for world stability. In February 2019, the British Chamber of Commerce in China, published a report on education in the BRI, and on opportunities for British education. From 15 to 17 February 2019 was held the 55th Munich Security Conference. Over the years, this event has become a major meeting place for leaders from around the world who can discuss global issues related to security and defense. or the 15th anniversary of the global strategic partnership between China and the European Union, on December 18, 2018, China unveiled its latest policy paper on the European Union. This document addresses many points and calls for a strengthening of exchanges between the two powers. The Australian state of Victoria in the BRI In October 2018, Australia’s Victoria state officially joined the BRI. Victoria’s prime minister Daniel Andrews and Cheng Jingye, the Chinese ambassador to Australia, signed a memorandum of understanding related to the BRI. 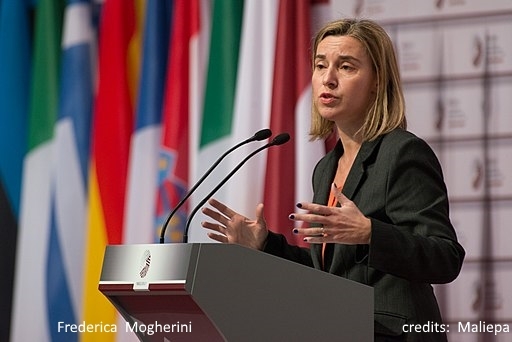 In September 2018, Frederica Mogherini, High Representative of the European Union for Foreign Affairs and Security Policy, unveiled a European strategic program on connectivity between Europe and Asia. Since 2015, Europort-Lorraine has planned to develop rail transportation from China. A test convoy had left Chengdu on July 13, 2018, but this line needs improvements. Chinese Premier Li Keqiang met the leaders of the European Union in Beijing for the annual EU-China summit on July 16, 2018. According to Romano Prodi, the “Belt and Road Initiative” is the most important project that China has offered to the world.